Mad bikes and people crazy about bikes will get together at Vélocity to celebrate bicycles: design, music, new technologies, gastronomy, tourism, shows, crazy racing, workshops. Have a look at the many facets of bikes at Velocity. After the race, from 14:00 to 18:00, artists, associations, freestylers, designers and animators will get on their bike for a glorious ending to the day. A convivial apero and food booths will satisfy everyone between 18:00 and 22:00. Velocity will come to life in the magnificent setting of the Bois de la Cambre! Turn the “Wheel of fortune” and test your traffic regulations knowledge with the le Gracq and Fietsersbond to cycle as optimally as possible. Try out some electric bikes with Pro Velo and purchase the latest accessories at low prices. Cyclo will carry out small repairs to maintain your bikes and a “video-game” event! This will be a perfect opportunity to Pimp My Bike, an event organised by Cycloperativa, or to learn to fix your two-wheeler on your own thanks to the participative workshops of La Rue Voot ! A cycling skills course will be available for children. With non-profit organisation Vélo M², learn to grind coffee beans, recharge your phone or print a 3D object simply by pedalling ! 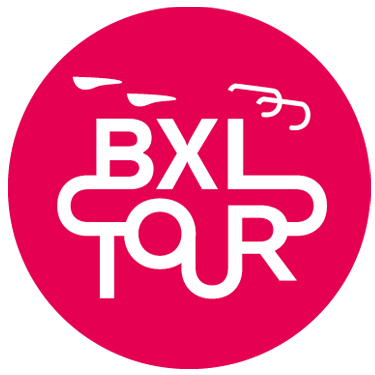 The Belgian Paralympic Committee will join the BXL TOUR to present its activities and will let you test the hand bikes and tandems used by the athletes in disabled sports competitions. Discover the spectacular figures of Bike Trial on modules and on the ground with the Flatland BMX, Durt Bike and Monocycle Trial. Children can learn to cycle at their own pace in a course specially designed for them by the Ateliers de la Rue Voot. Transformed, handled, quirky, the bike undergoes a total makeover in the journeys of the pitchemen, Japanese theatre “Kamishibaï”, a Velodroom tent for a show race and vintage merry-go-around for children only. Cyclophones will give rythm to the dynamos and a juke-o-cycle will spin your favourite records. Discover gardening under a new light with Cyclo Gardens’ cargo bike. Children will be able to create beautiful drawings as they pedal !